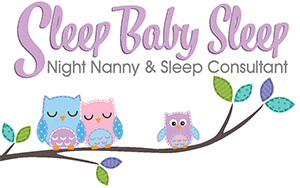 Calming, Relaxing and Reassuring Your Baby With White Noise. I wanted to introduce you to the Gro Hush – it’s from the company who brought the Gro Bag so you know it’s got to be good! 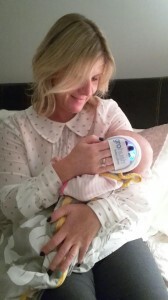 It’s a white noise baby calmer – you may or may not have heard of this kind of product before as there are a few on the market. The reason I wanted to tell you about this one in particular is that it’s quite unique in several ways. It’s portable, easy to use and can only be heard by baby when you hold it to their ear. (They have a patent on the technology, so no other white noise calmer is the same). It has a 100% cotton cushioned cover (which is machine washable) and can be taken anywhere with the great travel case it comes with, keeping it clean and protected. When your baby is in the womb it’s constantly surrounded by noise, whether it’s the mother’s heartbeat or people’s voices, music and other sounds. White noi se helps relax and reassure baby, keeping them happy. It automatically turns off after 10 minutes which is usually plenty of time to get baby settled, but there’s no limit to how long or how often you can use it – it’s completely safe. I love this product due to it’s portability, effectiveness and the fact that any caregiver can use it to calm and sooth baby. It’s most beneficial in the first few weeks after birth and if you don’t get instant results, don’t give up right away, persevere for a little longer and you may be surprised! 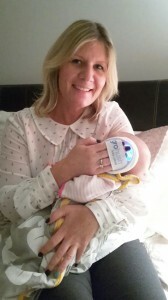 Obviously if your baby has colic or reflux, is ill, or is teething, the Gro Hush may not work but I’ve found it works a treat for an overtired baby and is definitely worth trying.